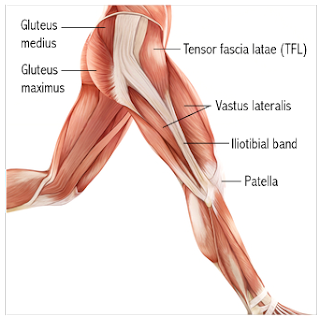 Previously we looked at an interesting article that analysed which hip exercises would preferentially target the gluteal muscles over tensor fascia lata (TFL). The article suggested that clam, sidestep, unilateral bridge, and both quadruped hip extension (with bent or straight knee) exercises would appear to be the most appropriate" for targeting gluteal muscle activation" (Selkoitz, Beneck, & Powers., 2013, p. 54). The article specifically states that these exercises preferentially activate gluteals over TFL but they don't offer strategies for reducing TFL overactivity. 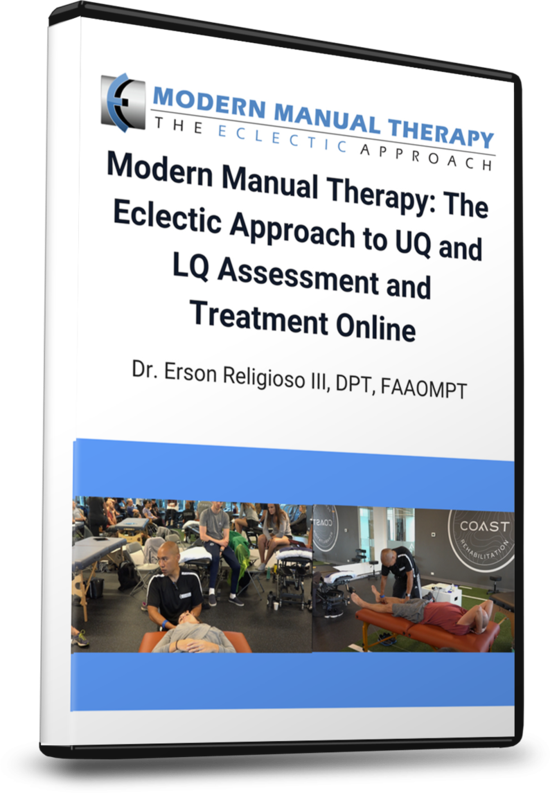 The aim of this blog is to briefly discuss why TFL becomes overactive, review some of the literature behind minimising TFL activity and then to share some addition clinical tips that I use to progress rehabilitation. When I started researching the topic of TFL overactivity & overload, I was surprised by the limited amount of high-quality research on this topic. Perhaps this is a reflection of the problem itself? My guess is that TFL tendinopathy or overload issues are normally secondary to gluteal dysfunction or hip joint pathology. However, there is a large body of research published about the role of the kinetic chain and how weakness or dysfunction in the kinetic chain is often present in lower limb or lower back injuries. With patellofemoral joint pain in particular, weakness in the hip muscles which control dynamic knee valgus and femoral internal rotation have been associated with abnormal loading of the joint. There is a strong message throughout these studies that rehabilitation of the entire kinetic chain is required to fully address the problem at the knee, hip, ankle or area of dysfunction. Why does TFL become overactive? This is the most important question to ask. TFL is a small ribbon-like muscle (about 18cm in length) which originates from the external iliac crest between the anterior superior iliac spine and iliac tubercle, and runs inferior-laterally to insert into the proximal iliotibial band (ITB) at the level of the greater tuberosity (Boss & Connell, 2002). The function of TFL is as a secondary hip flexor, abductor and internal rotator. 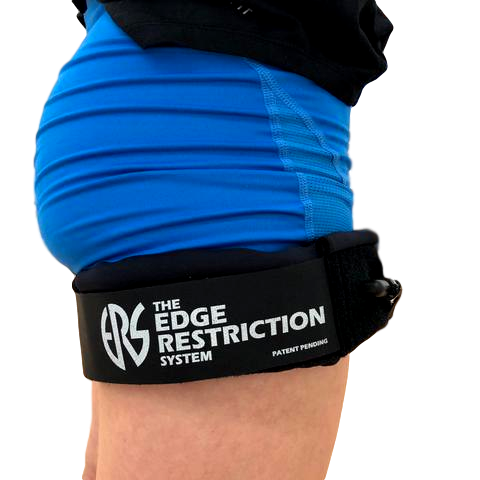 It exerts force on the hip directly, and indirectly on the knee through its insertion into the ITB (Cleland, 2005, p.250). Boss & Connell (2002) investigate the size of TFL and noted that the average size of TFL is 2.1mm thick and 18cm long! Thats not a very big muscle for producing force. The first possible answer to the question above is that there is muscular weakness in primary hip flexors, abductors and internal rotators. TFL is innervated by the superior gluteal nerve (L4, L5, S1) and so are gluteus medius and minimus. Therefore when understanding why TFL is behaving it the way it is you may need to look at the function of contributing lumbar spine levels and also the other muscles innervated by the superior gluteal nerve. Gluteus maximus is innervated by the inferior gluteal nerve (Cleland, 2005, p. 248-250). Sutter and collegues (2013) reported that TFL is often found to be hypertrophied on MRI investigation of patients with tears present in gluteus medius and minimus. This finding support this concept, that overload of secondary muscles is often found in the presence of dysfunctional/deficient primary muscles. The second solution - it is overactive due to poor movement patterns and technique. What are the muscles that TFL assists? Drawing the hip back into the socket and feeling a activation through the front of the hip. Watch for slight tricks and deviations through rotation as the hip flexes. When you look at anatomical pictures of the hip you will notice that TFL lies laterally to the line of pure hip flexion. Therefore, patients who trick into internal hip rotation and then flexion which would bring TFL into a good line of force production. Keeping the hip in neutral rotation will hopefully avoid over activating TFL. If that movement isn't pure, then start in sitting with an isometric hip flexion contraction bringing the knee into the hand and making sure the movement stays in the sagittal plane. Placing hands over the buttock to palpate the muscles posterior to the greater trochanter. Starting in relative abduction by placing a pillow between the knees. Minimise lumbar extension by starting with neutral pelvic position. Hip internal rotation is controlled concentrically by gluteus medius and minimus, TFL, and assisted by pectineus and gracilis. Hip external rotators will eccentrically control internal rotation. The hip external rotators include gluteus maximus, superior and inferior gamelli, obturator externus & internus, piriformis and quadratus femoris. So many muscles to consider and they all need to work in synergy to produce the desired movements around the hip and centre the femoral head for stability at the hip. Functionally, patients may present with a strategy to use femoral internal rotation and a medial knee displacement with movements such as sit to stand, step ups and walking/running. In patients with advance hip joint osteoarthritis, the lower portions of gluteus maximus atrophy, while TFL and upper gluteus maximus remain the same size, and there is increased bulk through upper portions of vastus lateralis, when assessed with MRI (Grimaldi, et al., 2009). Patients with anterior groin pain have been found to display significant increases in AP diameter of TFL and hypoecogenic cone-shaped area in the tendon close to the insertion on the iliac crest, when assessed with ultrasound imaging (Boss & Connell, 2002). Patients with gluteal tears have been found to present with hypertrophy in the TFL on the affected leg (Sutter, et al., 2013). Exercises that reduce TFL over-activity. "If the goal of rehabilitation is to preferentially activate the gluteal muscles while minimizing TFL activation, then the clam, sidestep, unilateral bridge, and both quadruped hip extension exercises would appear to be the most appropriate" (Selkoitz, Beneck, & Powers., 2013, p. 54). Sidorkewicz, Cambridge, & McGill (2014) researched a similar question about muscle function when comparing clams to side lying abduction and their results favoured the clam over abduction for maximal gluteus medius activation. Clinically however, I'm careful with going straight to clams based purely on this data because if there is any element of gluteal tendinopathy, the clam is going to compress and likely aggravate the tendon, and in that case, abduction is better. If you're starting with abduction (which is fantastic for glut max control), vary the degree of hip rotation from neutral, to internal, to external rotation to see what works best for your client. Lee et al (2014) suggest that slight internal hip rotation will actually reduce TFL activity and promote more gluteus maximus and medius. As you read earlier though, my preference clinically is to maintain neutral hip rotation and work on cueing for better gluteal activation. The pictures below represent gluteal exercises where TFL is not preferentially activated (still active but not dominant). All of the exercises above are great for strengthening gluteals with minimal TFL activity, but I also like these two theraband external rotation exercises. 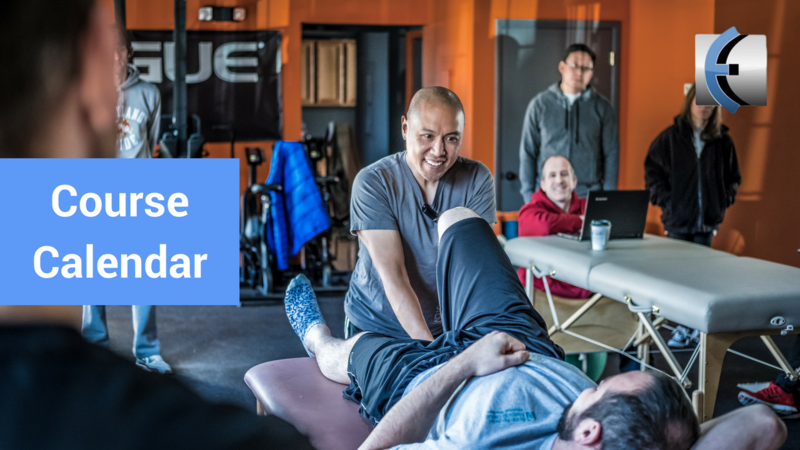 As we noted in the review of anatomy, TFL works closely to assist the gluteal muscles and these muscles have a variety of functions too, one of which is hip external rotation. 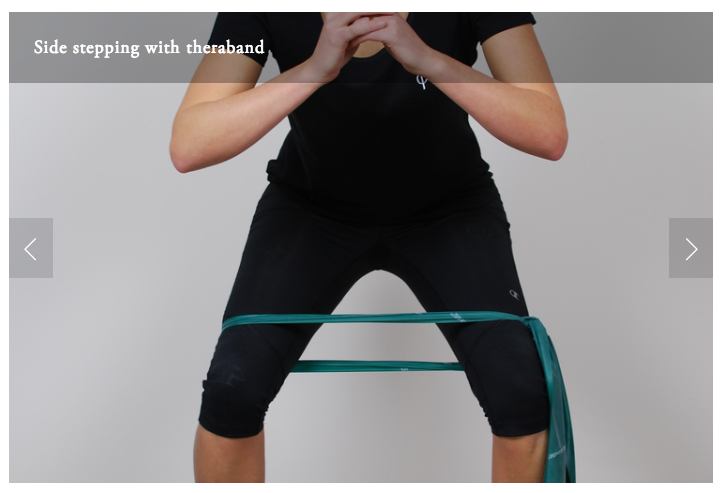 Tie the theraband around your ankle and then to a stable structure as seen. The hip is then begun in internal rotation by placing the foot to the side. The external rotation movement occurs as you slide your heel back to the centre. Aim to isolate the movement to the hip with an arching movement as the foot slides in and out. Avoid moving the pelvis and lower back or lifting the foot (as this engages the hamstring). The knee never moves or lifts (keeping the rotation coming from the hip joint). Aim to feel a contraction in the middle of the buttock behind the greater trochanter. Tips for correction may be to imagine pushing the knee backwards (to centre the femoral head) and activating pelvic floor (it has deep connections to deep hip rotators) to enhance muscular activation prior to the movement beginning. The progression is from 4PK into 2PK. I love this exercise for training a more pure hip rotation movement and isolating the deep hip rotators. It feels so different to a clam because its not bringing in gluteals as much. 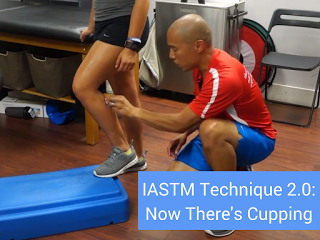 Outside of the exercises above you will need tips and cues for retraining technique as rehabilitation progresses. At some point the exercises above will become to easy and you'll need to move into more functional and full body movements. Draw your weight back into the heels. Imaging drawing your thigh bones back into the hip sockets (to reduce quad bulking/bunching at the front of the hip). Weight bear more through the inside of your heel and big toe and then rotate the knee outwards from the hip (to engage the gluteals). Lengthening out of the legs and through the entire body (creating space around the pelvis and hip). If indicated, posterior pelvic tilt in standing to reduce the amount of standing hip flexion, anterior pelvic tilt and lumbar lordosis. There are six different degrees of movement at the hip joint (flexion, extension, abduction, adduction, internal rotation, and external rotation). Familiarise yourself with clinical anatomy and which muscles work through which ranges of movement. 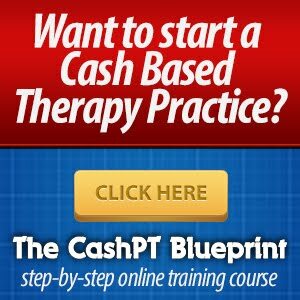 Educate your clients on where they should be driving the control from and maybe try teaching these external cues to improve their technique. You can work to reduce TFL overactivity by bringing up the primary muscles and correcting movement patterns. 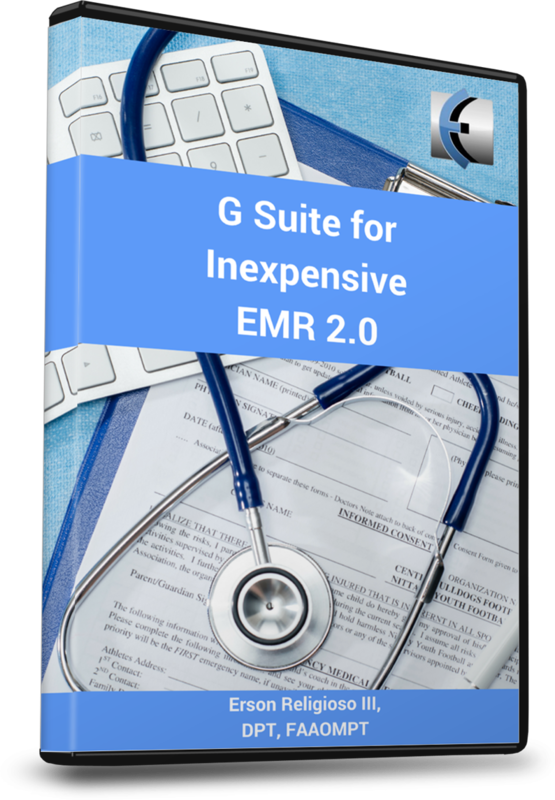 Hope this gives everyone some ideas to try in-rooms, in a gym setting and for home exercise programs. 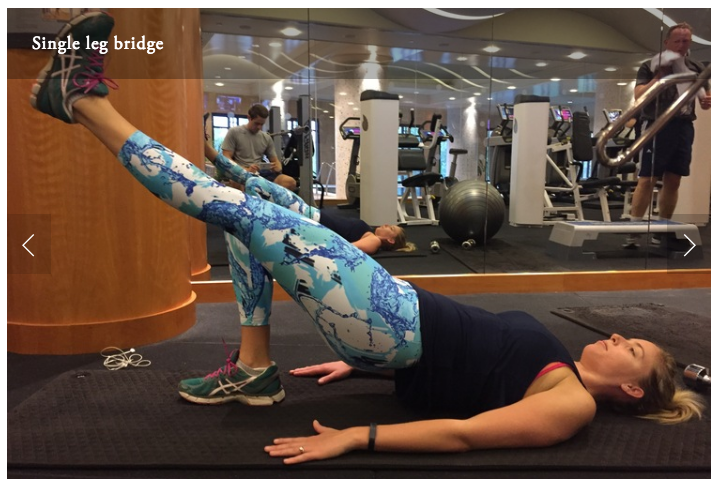 If you're interested in learning more about exercises to reduce TFL pain and tightness, or translating this information into a Pilates setting, read the original blog by Rayner & Smale. Sian Smale is an Australian-trained and APA-titled Musculoskeletal Physiotherapist. Sian has been writing a Physiotherapy evidence-based blog for the past 3 years called Rayner & Smale. 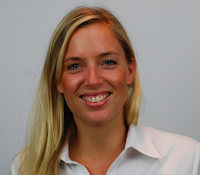 Sian is based out of San Francisco and continues to write and teach Clinical Pilates while working towards her Californian Physical Therapy license. 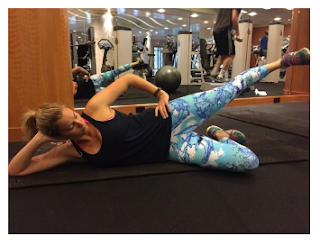 This blog is shared from a previous post on Rayner & Smale relating her knowledge of retraining the hip injuries and the lower limb kinetic chain. Antonio, S., Wolfgang, G., Robert, H., Fullerton, B., & Carla, S. (2013). The anatomical and functional relation between gluteus maximus and fascia lata.Journal of bodywork and movement therapies, 17(4), 512-517. Bass, C., & Connell, D. (2002). Sonographic findings of tensor fascia lata tendinopathy: another cause of anterior groin pain. Skeletal radiology, 31(3), 143-148. Lee, J. H., Cynn, H. S., Kwon, O. Y., Yi, C. H., Yoon, T. L., Choi, W. J., & Choi, S. A. (2014). Different hip rotations influence hip abductor muscles activity during isometric side-lying hip abduction in subjects with gluteus medius weakness. Journal of Electromyography and Kinesiology, 24(2), 318-324. Selkowitz, D. M., Beneck, G. J., & Powers, C. M. (2013). Which exercises target the gluteal muscles while minimizing activation of the tensor fascia lata? Electromyographic assessment using fine-wire electrodes. journal of orthopaedic & sports physical therapy, 43(2), 54-64. Sidorkewicz, N., Cambridge, E. D., & McGill, S. M. (2014). Examining the effects of altering hip orientation on gluteus medius and tensor fascae latae interplay during common non-weight-bearing hip rehabilitation exercises.Clinical Biomechanics, 29(9), 971-976. Sutter, R., Kalberer, F., Binkert, C. A., Graf, N., Pfirrmann, C. W., & Gutzeit, A. (2013). Abductor tendon tears are associated with hypertrophy of the tensor fasciae latae muscle. Skeletal radiology, 42(5), 627-633.